The Dollar Tree has some great gardening supplies this time of year. Here are our favorite items, including Dollar Tree flowers, pots, and gardening gloves! The other day we were visiting the Dollar Tree, and I was excited to see that they had just gotten a huge stock of gardening supplies in! I was actually pleasantly surprised with the quality and variety of products they had. Sure, it’s not like going to your local gardening supply store….but it wasn’t bad either! At first, I thought there would just be a few things, but the more I walked around the store, the more I saw…so, since gardening is a popular topic in our house, I thought I’d share some of the treasures we found! I also recommending checking out all the links I post to below. I don’t always recommend buying things from the online store, but with gardening supplies, it might be worth it. Many of these can be bought in smaller quantities as well (and they aren’t always available in store!). 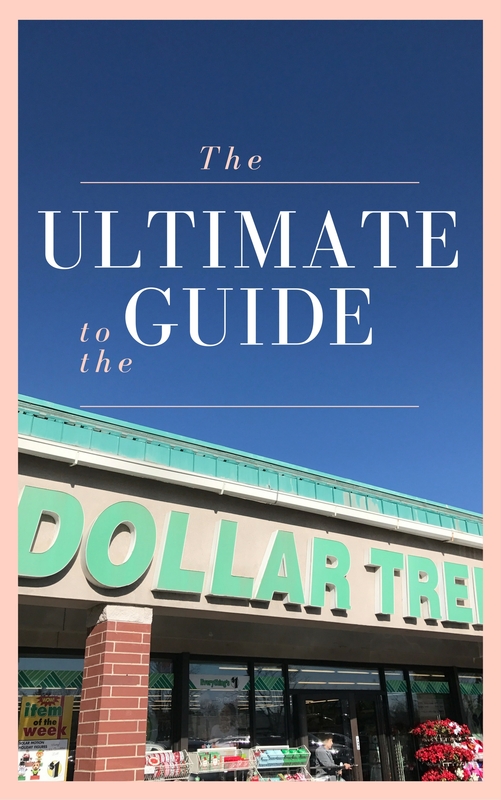 Click here to sign up for the Dollar Tree Value Savings Club! Not only do they sell seeds, but they are 4 for $1! We were pretty excited about the variety. Forrest took a long time to carefully select the seeds. I’m excited to do an update next fall about our crop. We certainly got a lot of seeds! I think gardening gloves are definitely essential when you are working in the garden regularly. They had a nice selection of different colors and styles. They weren’t the highest quality gloves I’ve ever seen, but they seem to be pretty sturdy. No one likes weeds! These can be helpful as you start to prepare your garden. If you have a large garden, make sure you pick up a bunch (you can order them here just in case your store doesn’t have enough in stock!). We found a large variety of pots available – there were started pots (pictured above), clay pots, plastic pots, and more. They come in a bunch of different styles and sizes. I felt they were similar quality to pots we bought last year (just a whole lot less expensive!). In addition to the seed packets, there were boxes for different kinds of flowers! I saw wild flowers, marigolds, and more. You can easily make your own at home (maybe pick up some popsicle sticks! ), but these would come in handy for quick labeling. As someone who quickly forgot what we planted and where, I think it’s important to label your garden. These come in packs of 10. There were a few different bags of planting soil. The one pictured above was quite large, and then there was a smaller bag. I’m not quite sure what the difference was, but both of them seemed to be good choices. You can also buy some fertilizer spikes – these are great for indoor plants! UPDATE: We found this soil to be not very good quality and would not recommend using it. I’ve never been big on gardening figurines, but I think these are kind of cute! I’ll admit, I had to look up what this was. It can be used to hep tie back plants (as well as to package and deliver things). It would be pretty handy once plants start to grow like crazy! They had a bunch of different tools to help you prepare and maintain their quality. I haven’t always been the biggest fan of tools at the Dollar Tree, but we brought a couple of these home, and I think they are great. They seem very solid and like they can stand the test of time (or at least, the whole summer!). These are great! They have a bunch of different spray patterns so you can decide which setting is best for your garden. I didn’t grab a picture of these, but I did buy one. They had a lot of cute little wind chimes. It’s not exactly gardening, but they seem to go with the general theme, so I figure they were worth mentioning. We got a bamboo one that is great quality. Potted plants more your style? No problem! The Dollar Tree carries these great metal plant holders – they are 30 inches tall. And I didn’t see these in store, but they have some great hanging flower baskets online that seem to have great reviews. The garden gloves are not as sturdy as say $5.00 ones but i can get 5 pair for that at the dollar tree and they last all summer. Buy all my cards there. Most of my plastic ware is from there, and has lasted. I planted the zinnias. I was thinking ankle high but the heritage ones are 4-5′! But gorgeous. Many compliments. Also the cosmos, moonflower (great but no scent), lettuce, cleome (all the traditional issues but tall and lovely), shade mix (not so good for Houston) and others. All germinated well. I bought a few boxes of the wild flowers last year. They grew well and the green part lasted all winter. I can see some flowers coming back up. I saved some of the seeds in hopes they grow and gain this year. Thanks so much, Tracie! This is super encouraging to hear. I had no idea the Dollar Tree had all of this stuff! We are big into gardening (we’re on our third garden since moving here last May) and now I know where to go next time we need gloves or tools!